Three days ago, I was feeling a wee bit nervous. I was set to undergo laparoscopic cholecystectomy – I needed to have my gall bladder removed. I was admitted to the hospital at around 8pm, with my pregnant wife accompanying me. My operation was set at 10am of the next day. When we got to my room, I started unpacking our stuff when Pauline excused herself to go to the comfort room. When Pauline got out, she had a smirky look on her face. “I have something to tell you,” she said. “What is it?” I asked, totally not prepared for what she was about to say. Life just threw us a curveball. The nurse’s station to ask for a wheelchair to take Pauline to the Delivery Room. My surgeon and anesthesiologist to cancel the procedure. My healthcard to cancel the process. The admitting section to cancel my admission and to process my wife’s admission. Our parents to tell them about their new, impending grandchild. Our friends to extend prayers and include not only me, but mother and baby. Then it was off to the races. I started going around the hospital to fix the paperwork, and then Pauline was wheeled to the delivery room. Soon, I was called to the delivery room myself. In just over 2 short, exhilarating hours, I was a father to my newest startup, Siena. You know it’s coming. You don’t know when. You don’t know how. You don’t know in what shape or form. But yeah, you know it’s coming. Yes, you can try anticipating it, resisting it, or even “risk managing” it. You can even try crying over it with the hope it goes away if you cry hard enough (hello, recording industry!). My advice is to apply JUDO on it. Embrace it. Move with it. Flow with it. Smile. While the startup is highly vulnerable to the curveball, it also has to realize that it DEPENDS on the curveball. 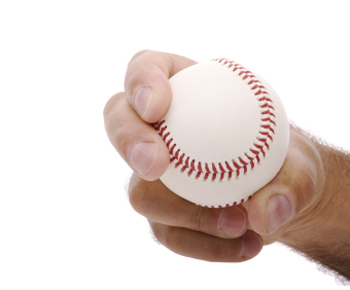 Entrepreneurs and startups are created when they pounce upon a thrown curveball. Are millions of people suddenly buying millions of apps over mobile? Pounce. Did a big regulation just change? Pounce. Are the buying habits of young people changing? Pounce. How can you throw the curveball instead? Previous PostThere’s no reason why YOU can’t build the next Twitmusic! Next PostWould you rather report to a multinational, or MAKE one?